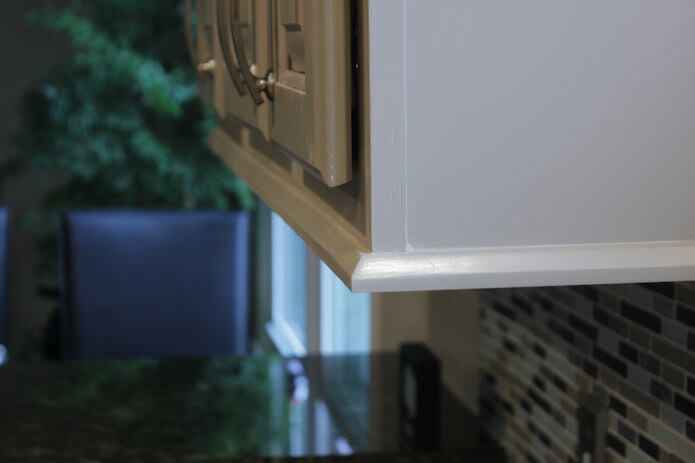 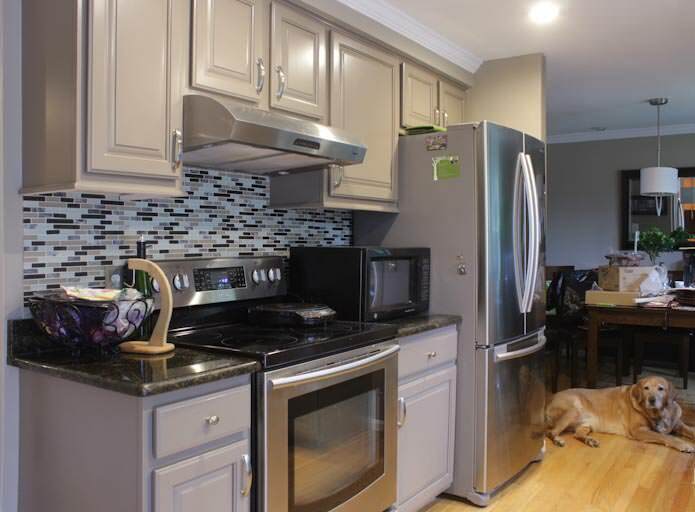 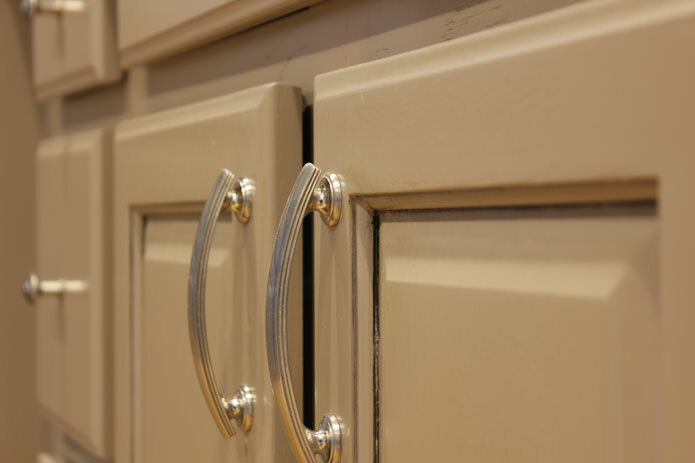 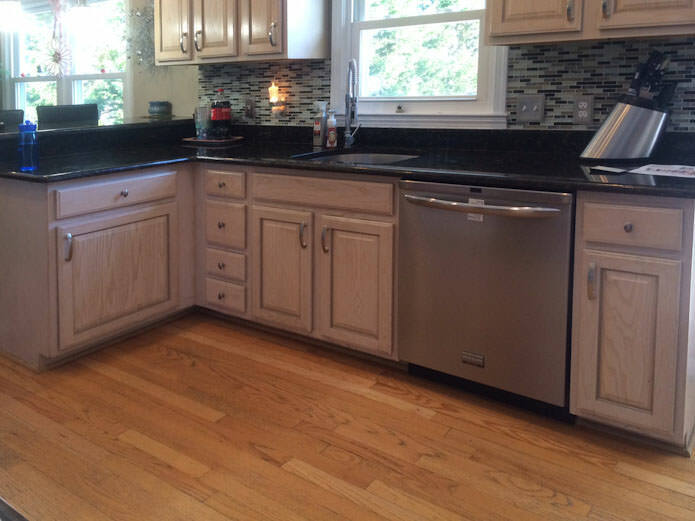 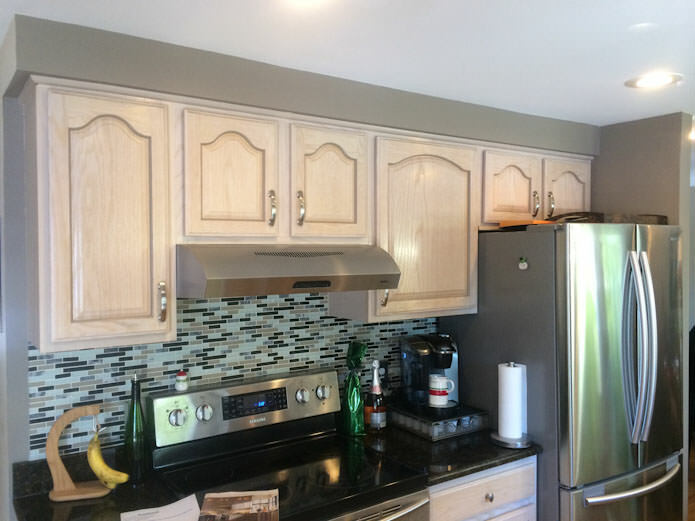 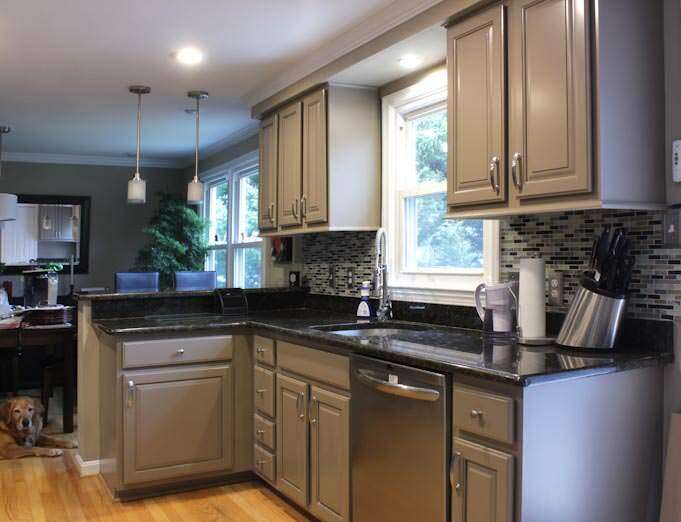 White washed oak cabinets were painted a solid custom color. 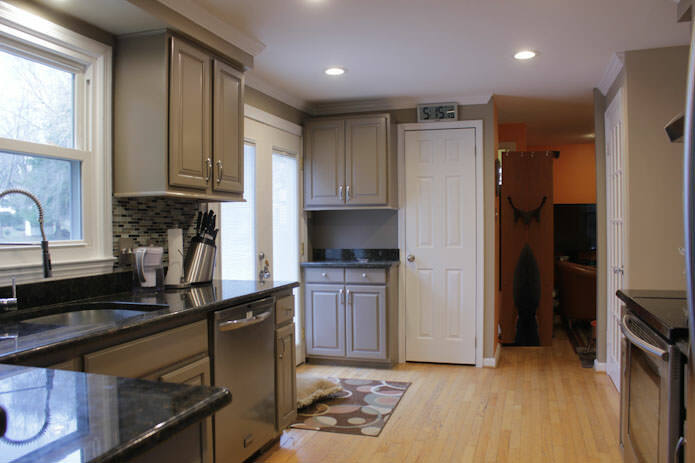 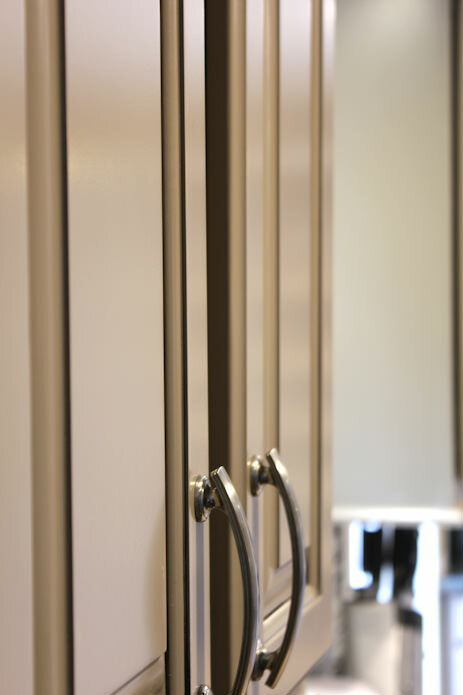 The arched raised panel cabinet doors on the wall cabinets were replaced with square raised panel doors to match the base cabinets and a light rail was installed. 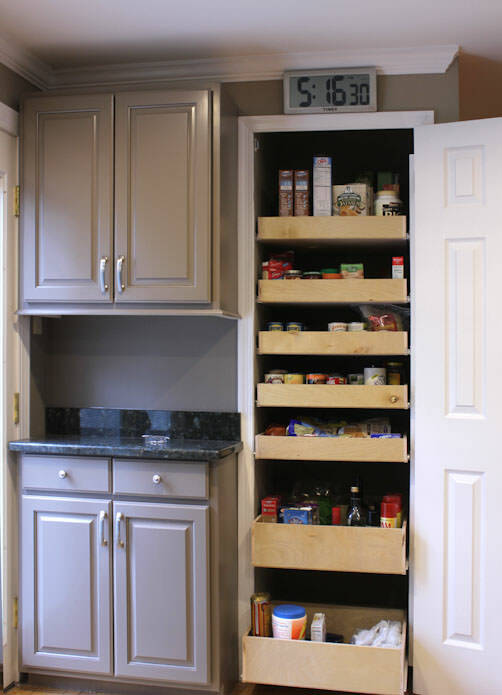 New matching, custom built base and wall cabinets were added next to the patio door for extra storage space and the pantry was fitted with pull out shelves from top to bottom.